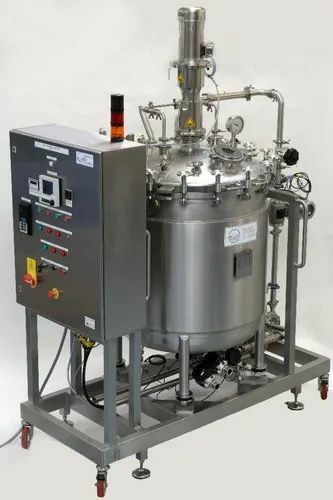 In R Square Engineers we are backed by our experience of years and so we can proudly say that we make the among the best high pressure stainless steel reactor in Indian market. The clients of our company have always expressed satisfaction with our products and services. The Unique selling point of our products is that they produce qualitative performance at considerable low investment and it also requires less maintenance. Our reactor can be easily operated. Our reactors are made from M.S, SS 304 and SS 316 stainless steel and other materials of good quality. The reactor is durable and performs efficiently for longer period. The reactors are available in wide capacity and are used in pharmaceutical and chemical industries. We are a leading manufacturer supplier of Stainless Steel Reactor Vessels We supply reactor Vessels in Steel Grade of SS304, SS316, SS316L, SS304L and Duplex Steel in various capacity as per client Requirement wide range of reactor vessels that are complete with different accessories. The interior and jacket of the vessel are manufactured in line to ensure that the flow circulation of the heating fluid in the jacket.